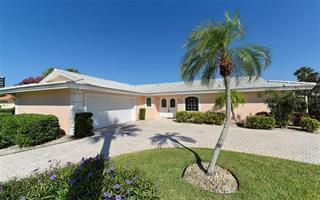 Custom completely remodeled and expanded with outdoor living single story Key home is Florida living at its best. 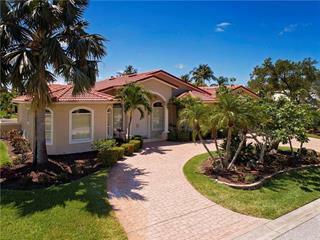 This home is offered turn-key and is located within the esteemed Country Club Shores on South Longboat Key. This one of a... more. kind home has been updated from top to bottom with detail, quality and no expense spared creating a like-new feel with timeless style. 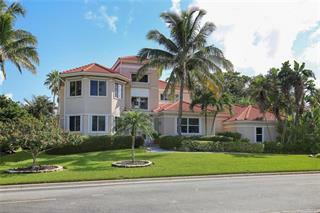 An expansive, private, beautifully landscaped, elevated lot with soaring palm trees and custom lighting envelops the property and leads to the large driveway with plentiful parking space. Perfect for both entertaining and comfortable family living, the spacious, open, light-filled floor plan flows seamlessly from room to room with all tile floors, volume ceilings and elegant appointments throughout. 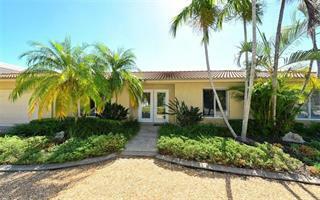 Enjoy gourmet meals or friendly gatherings in the kitchen, which boasts a gas Wolf stove, a Sub-Zero refrigerator, gorgeous quartzite counters and waterfall center island. 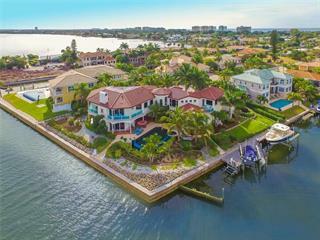 Take pleasure in the spectacular summer kitchen entertainment area, with a heated saltwater pool which is enhanced by views of the navigable canal, and is totally fenced and private with lush landscaping. Boat, swim or fish from the new dock. Additional features include an oversized 3-car garage, a well for an irrigation system, remote access security system, and handicap accessible bathrooms and bedrooms. 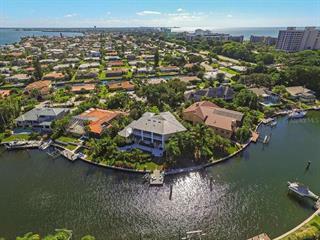 Convenient to downtown Sarasota and all the barrier islands have to offer, Country Club Shores offers residents private beach access and Longboat Key Club amenities nearby.